More safety, great cost advantages and improved efficiency in using Alkè explosion proof electric vehicles for activities made in oil, NGL and natural gas processing plants. The production sites of oil, NGL and natural gas are certainly among the sectors at higher risk of explosion. For this reason they need devices that are in accordance with ATEX regulations to avoid the risk of igniting the atmosphere. Alkè explosion proof electric vehicles are designed according to ATEX 94/9/EC and can cover a wide range of ATEX classification categories. This type of vehicles are designed to operate inside hazardous areas where the other traditional combustion vehicles are not allowed and guarantee a greater plant efficiency and greater safety for all the people who work inside the production site. 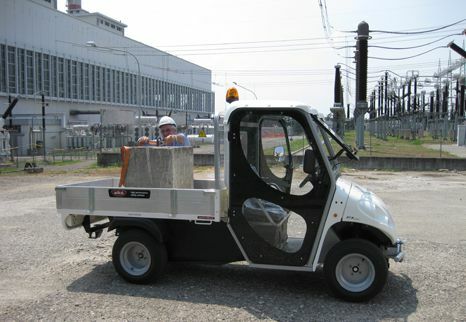 The Alkè explosion proof vehicles have also other advantages: a great capacity of mobility thanks to their compact dimensions and high performance also in off-road areas; less maintenance costs; they don't pollute (zero CO2 emissions) and are silent.